Over centuries, people in diverse geographical positions relied on rainwater and developed indigenous knowledge and techniques to harvest it. 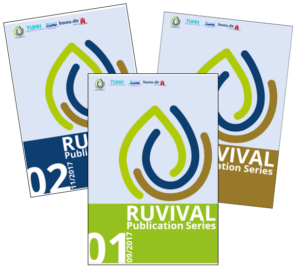 This paper introduces Traditional Ecological Knowledge and Indigenous Knowledge and provides an overview of some of the traditional rainwater harvesting methods. Bamboo drip irrigation and rice-fish farming in India are reviewed as case studies. It is vital to take into account and to learn from what local people already know and do and apply this knowledge for our planet’s benefits. These traditional rainwater harvesting practices may have a few challenges to overcome, but they can provide water conservation strategies, especially in vulnerable regions. This is a working paper reflecting ongoing work. Comments and suggestions are welcome, please use our Contact form. An updated version will be published as part of RUVIVAL Publication Series Volume 4. 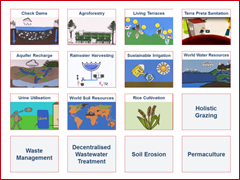 Working Paper: Traditional Ecological Knowledge (TEK): Rainwater Harvesting Methods – A Review by Sumbal Tasawwar, Rahel Birhanu Kassaye and Ruth Schaldach is licensed under a Creative Commons Attribution-ShareAlike 4.0 International License.